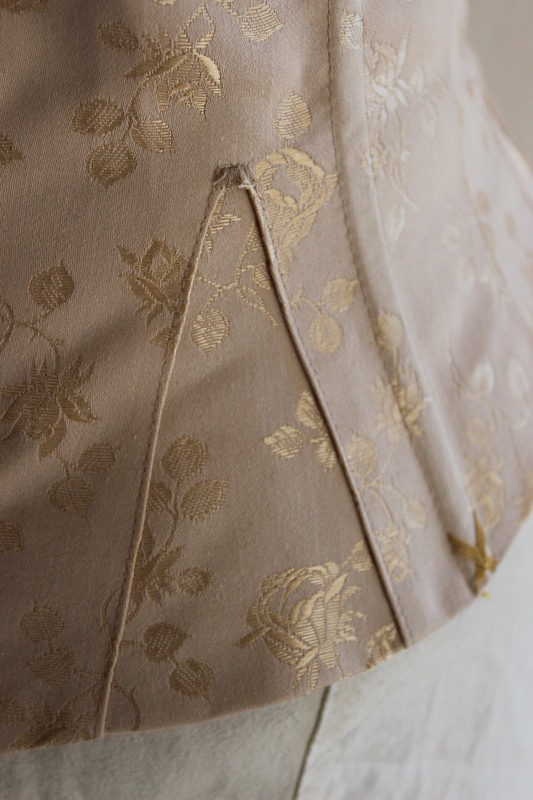 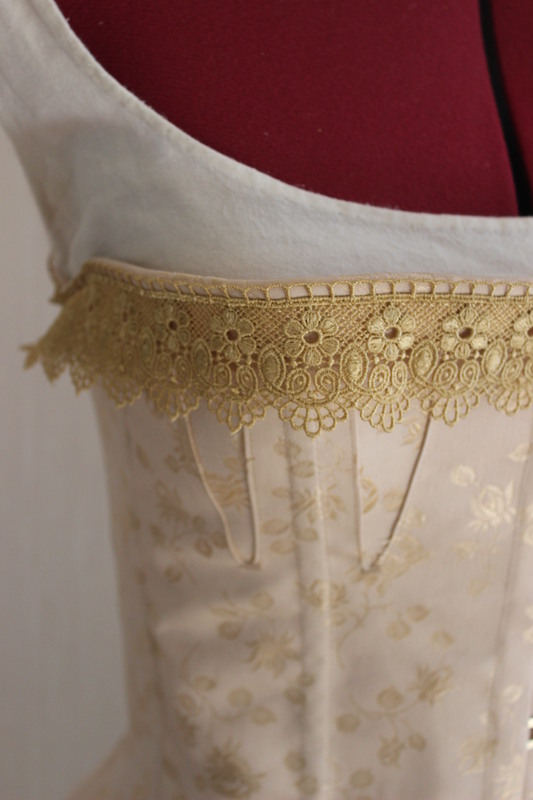 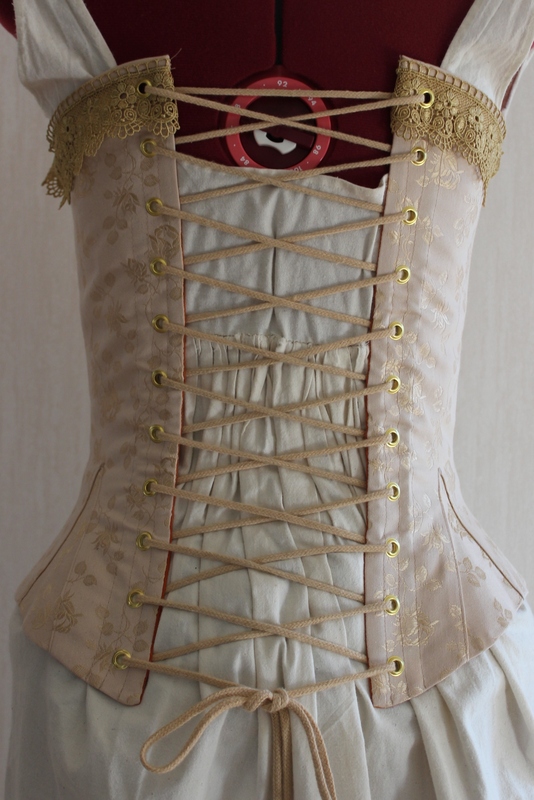 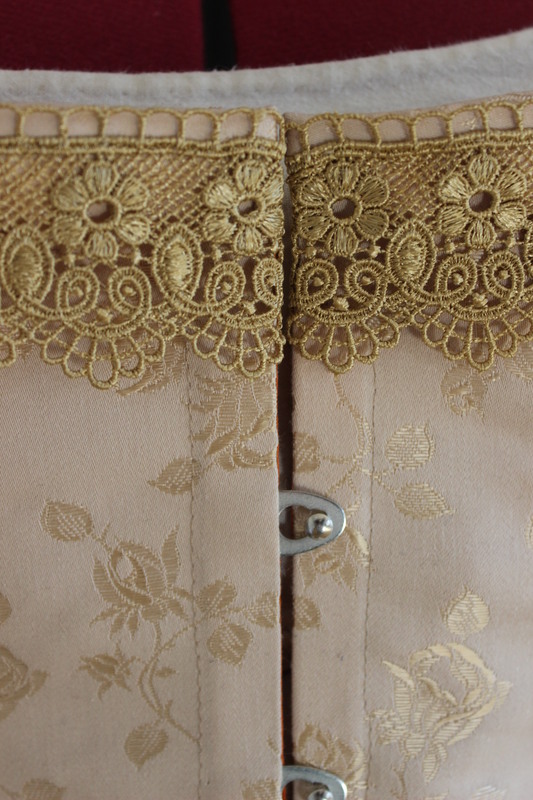 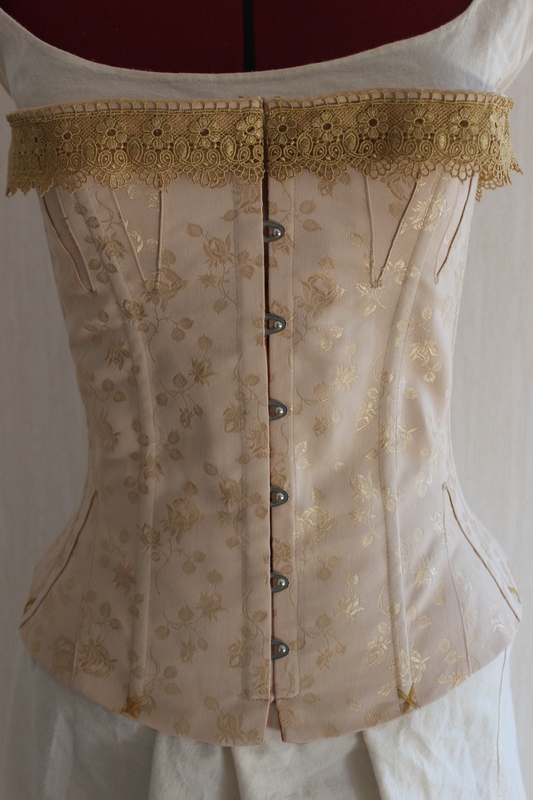 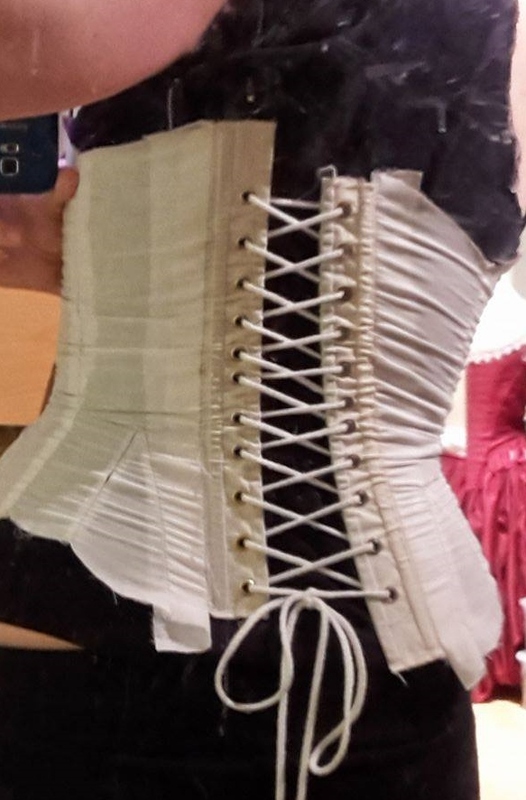 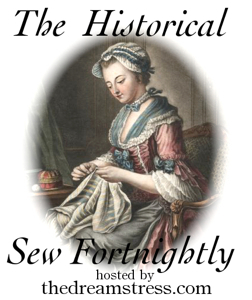 As I mentioned in an previous post about my sisters 1860s corset, I couldn’t resist the temptation to make one for myself (even though I didn’t need one and really didn’t had the time for it). 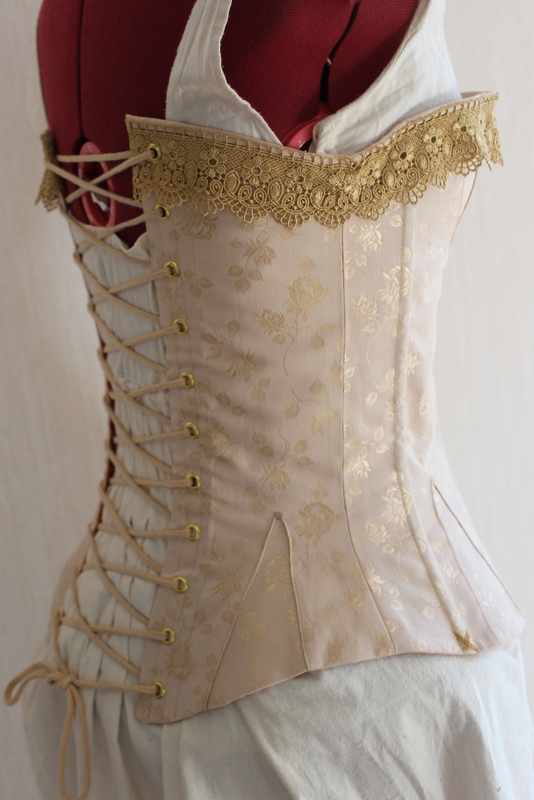 I tried to convince myself that it would be like a workable test-run of the pattern for my sisters corset. 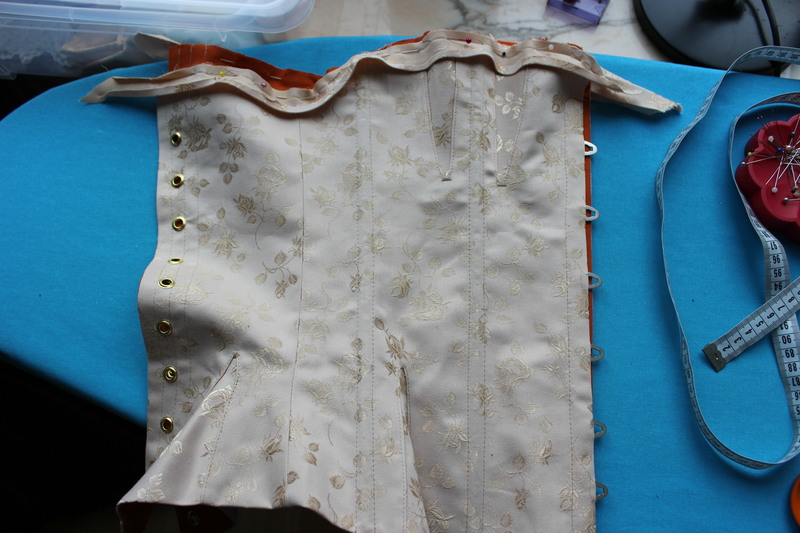 But since I both started (and finished) it after my sisters was already done, that argument fell kind of flat. 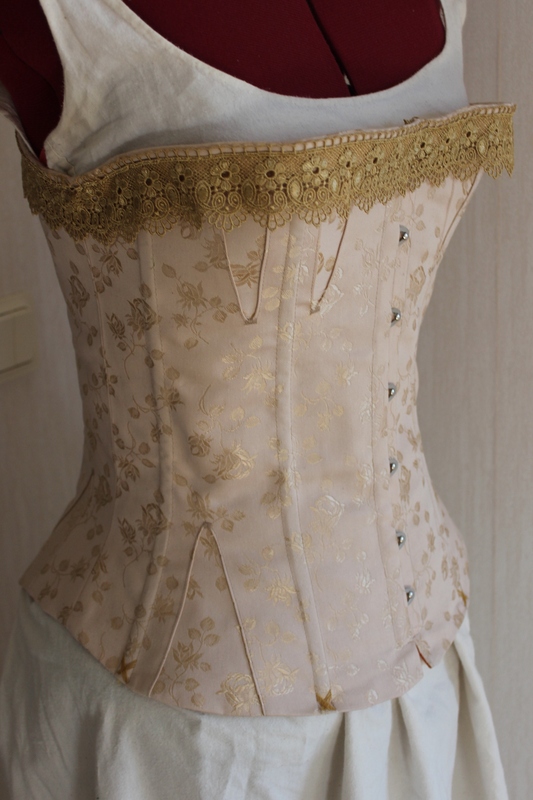 But anyhow, I did make one for myself :-). 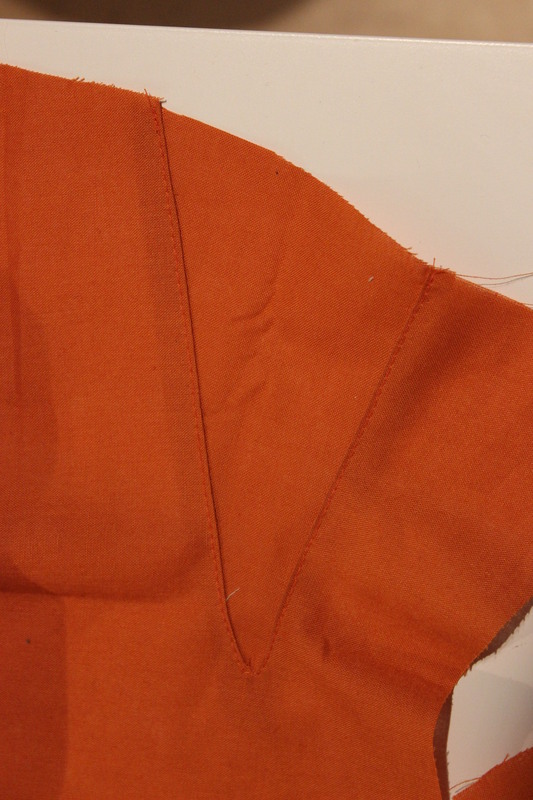 Using the same pattern, and initially also the same mock-up I got to work. 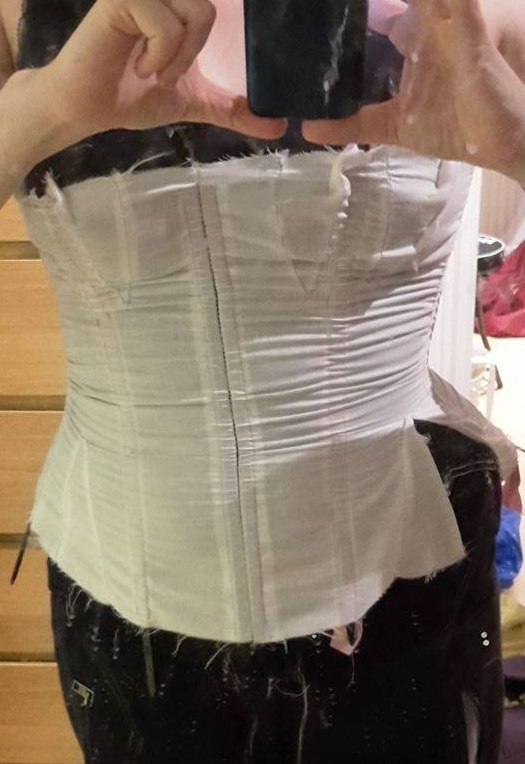 Wanting the fitting just right, I also made a second mock-up – based on my own measurements (instead of my sisters). 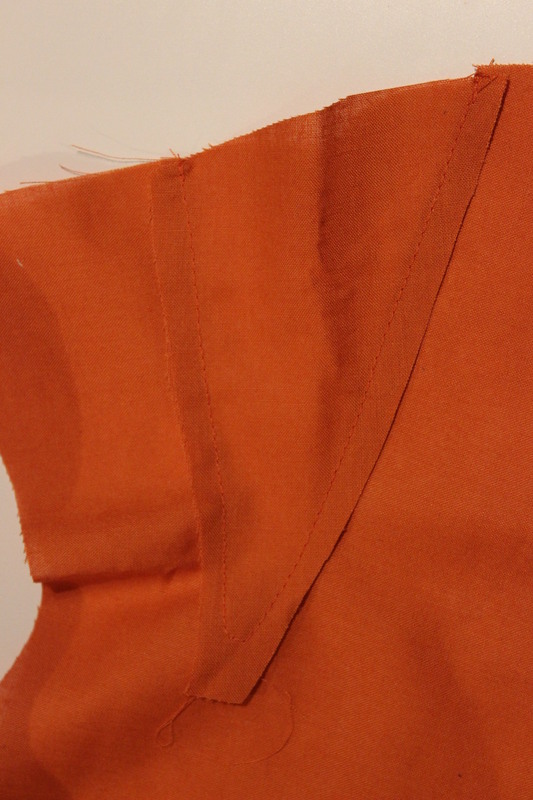 Using a beautiful cream/golden coutil from “Vena Cava designs”, and a orange cotton sheet for lining. 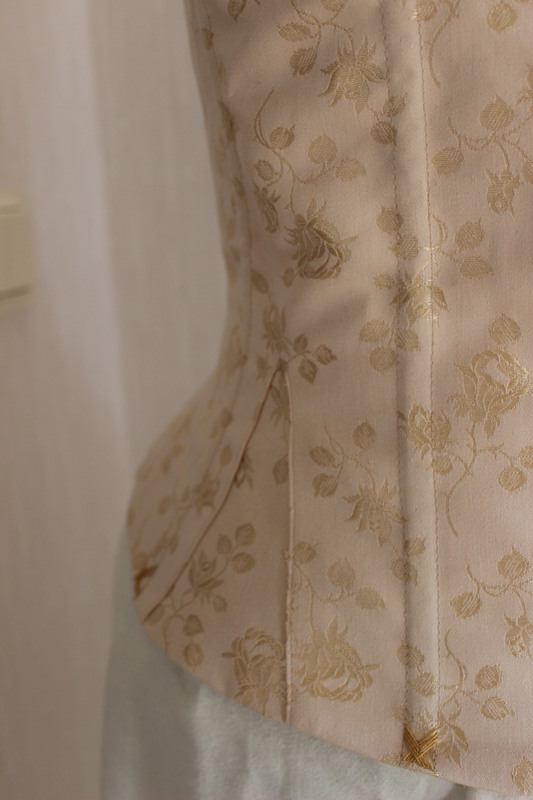 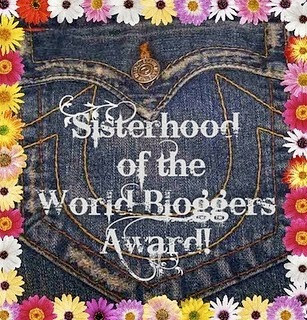 I sewed it up in the same way as my sisters (but I didn’t need any additional alterations), so it went faster. 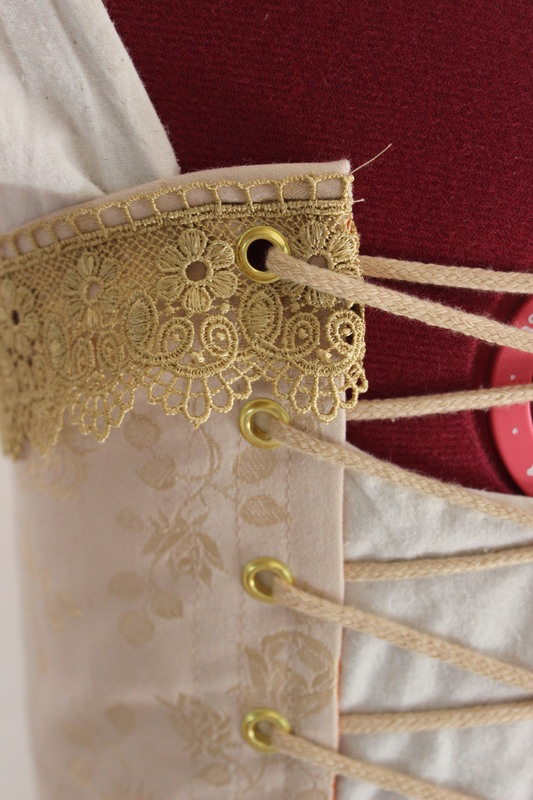 Oh, how I wished I’ve gotten the tad more expensive golden busk on my last order. 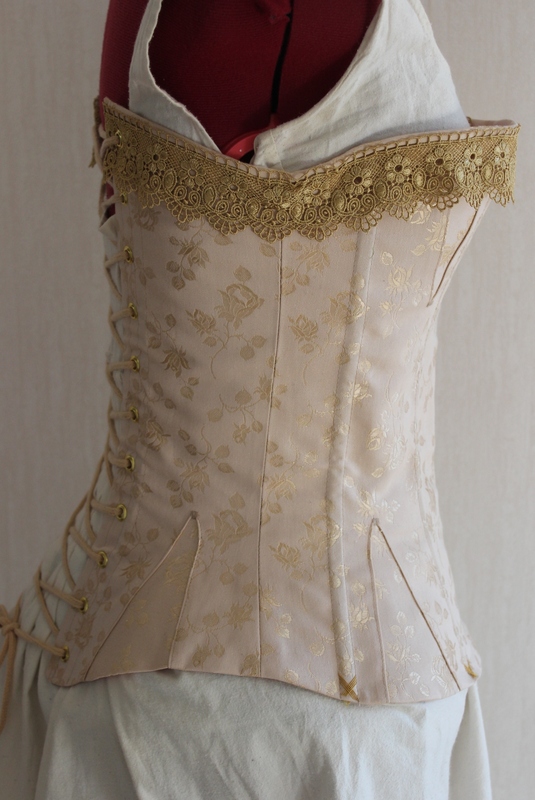 I stitched the whole thing together, adding bone casings, grommets and bones. 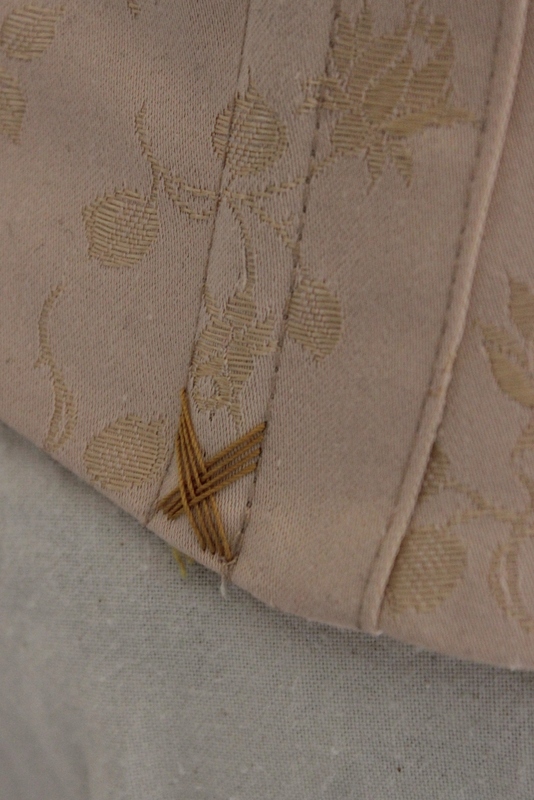 I made my own bias tape using pieces of main fabric and used it to bind the top edge. 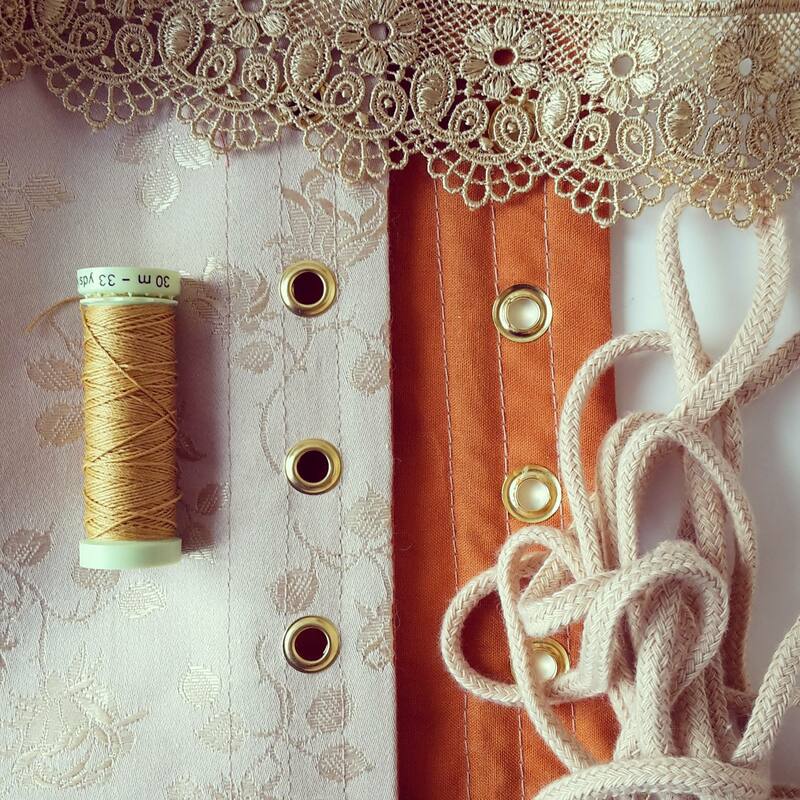 Fabric & Notions: 0,5 m cream coutil, 0,5m orange cotton for lining, 1 busk, grommets, boning (plastic and metal) 4 m cotton cord, 1 m golden lace, thread, buttonhole thread for flossing.